Kate draws on several years of experience in the spa and salon industry. After exploring different crafts, she found her passion in waxing and hair removal. Exclusively waxing at some of the Kentucky's premier waxing salons for the past 8 years, Kate has established a variety of techniques and an abundance of product knowledge to help make the unpleasant task of hair removal as pleasant as possible by pampering, personalizing and catering to the client’s individual needs. Kate has obtained numerous certifications throughout the years in male brazilian waxing, eyelash extensions, threading, lash perming, spray tanning and microblading. Holly has the ability to make all who enter her room feel warm, welcomed and right at home. She is versed in the latest trends and techniques of waxing, including brow design, body waxing, lash perming and microblading. She has an eye for detail, and is very thorough in her work. With Holly's 15 years of experience and sweet demeanor, you can't go wrong in her hands! Maisie brings 5 years of experience to Body and Brow- along with her enthusiasm for all things waxing and beauty related. She provides excellent waxing, lash perming and brow design services. If you desire a calm, relaxed service, Maisie is your go to girl! Many of you know Ashley as our fearless leader, but now you will recognize her in a new role as a beauty technician. 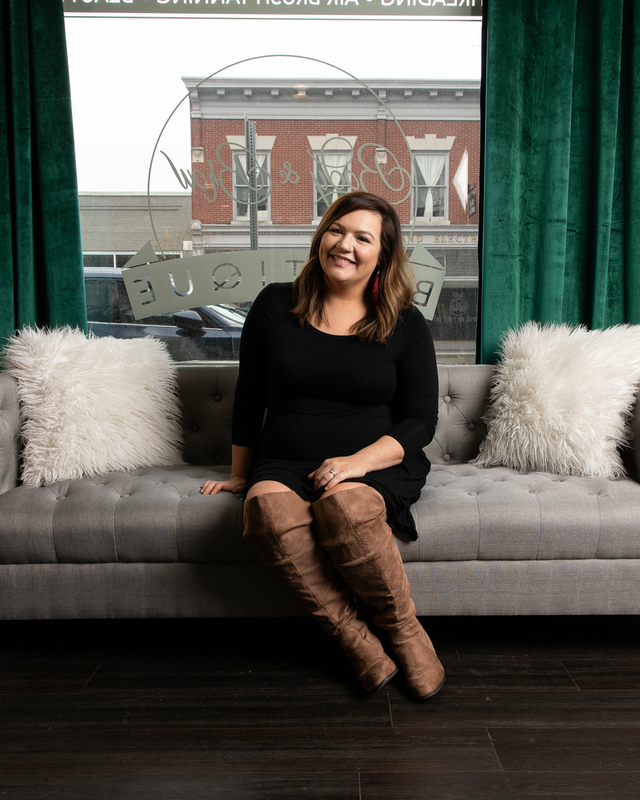 While Ashley specializes in all services offered at Body and Brow, she is most known for her painless and quick brazilians for both men and women. She loves making men and women feel confident in their own skin by keeping them smooth, comfortable, and educated in all of the latest waxing techniques. Want a fast and nearly painless body service? Ashley is your go to girl. Mary Pat brings years of experience with makeup and beauty to our team. She first found her passion in the beauty industry as a makeup artist and has since branched out to esthetics. She enjoys making women feel beautiful, whether that be through makeup, spray tanning, or a simple wax. Because of her knowledge, she serves as a staff trainer for makeup techniques, but her favorite service to perform is a brow wax and tint. Ask her how she can transform your brows today.